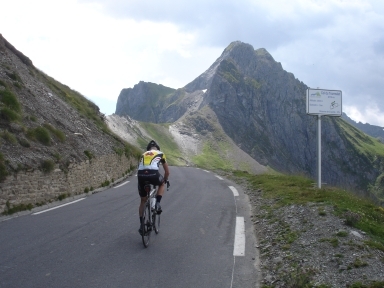 This site provides information about cols and other climbs for race bikers in Europe. For each ascent you will find a profile, a map, photos and a description. Also, basic data like number of elevation meters, steepness and climbing effort are given. On a central page all ascents from a single region are compared to each other in terms of the climbing effort and depicted together on a map. So far, the site is confined to the climbs that I have done since 2010.